Metallic, What A Car ! Full Panoramic Roof ! Low Mileage ! Fully Automatic ! Full Black Leather Seats ! Fantastic Value For Money ! Full Service History With This Car ! This Car Comes With Full Years Independent MOT On Purchase ! Fully Serviced ! This Vehicle Still Has A 1 Year Warranty From The Manufacturer ! Category D Vehicle - At Some Point This Car Was Lightly Damaged & Had An Insurance Claim Made Against It ! Call & Secure This Car Today With A Low Deposit Of £100 ! Fully Comprehensive Parts & Labour Warranty Included On All Cars Over £1000 ! Nationwide Delivery & Collection Available ! All Major Credit / Debit Cards Accepted ! All Types Of Finance Available ( Good Ratings, Poor Ratings, Trust Deed's Etc ) ! We Welcome Any Inspection On Our Cars - Even From AA, RAC Etc ! Part Exchange's Welcome ! We Take Care Of The Whole Process ! Fair Prices Paid ! Test Drive Any Car You Like With No Pressure To Buy ! All Of Our Car's Are Prepared With The Highest Standard's and a Full 99 Point Inspection ! A Copy Of The Inspection Report Is Available For You To View ! Family Run Business For Last 20 Years ! Buy With Confidence ! Open 7 Days A Week ! We Can Also Accommodate Out Of Hours Appointments !, Upgrades - Metallic Paint, 1 month warranty, Full service history, Good bodywork, Black Full leather interior - Good Condition, Tyre condition Good, Standard Features - 18in Alloy Wheels with Locking Wheel Nuts, Bluetooth Connectivity, Cruise Control with Speed Limiter, Drivers and Front Passengers Seat with Electric Adjustment, Drivers Seat with Memory Function (2 Settings), Dual Zone Climate Control, Electric Front and Rear Windows with Anti-trap and One-touch Up/Down Control, Heated Front Seats, Hill - Start Assist Control (HAC), Keyless Entry, Panoramic Sunroof (Electric Tilt and Slide), Privacy Glass (Rear Windows), Rain Sensing Front Windscreen Wipers, Rear View Parking Camera, Parking Guidance, Satellite Navigation, Stereo RDS Radio/CD Player with MP3 WMA Compatibility, Thatcham Category 1 Approved Alarm, Touchscreen, Upholstery - Leather, Voice Recognition. 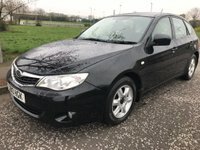 5 seats, WWW.LANARKSHIRECARCENTRE.COM !! View All Cars Online !! Please Call First To Arrange Appointment ! !